Until now, the unaged whiskey category has had a lot of buzz surrounding it but very little traction. Many of the entries in this space come from small independent micro-distillers who release their unaged spirits in hopes of generating capitol to survive as their aged whiskey sits in casks slowly aging. This is all about to change with the introduction of Jack Daniel’s Unaged Rye Whiskey. Jack Daniel’s is one of the top selling spirits in the world, and when they make a move in the whiskey space, everyone follows. Jack Daniel’s Tennessee Honey completely redefined the landscape for flavored whiskey, and we feel that the Jack Daniel’s Unaged Rye Whiskey is going to do the same for the unaged whiskey category. The products in the unaged whiskey category go by many names: white dog, white whiskey, moonshine, new make spirit, or just simply unaged whiskey. 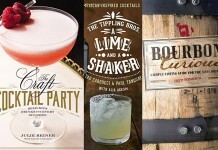 To date, some of the best entries in the unaged whiskey space have been products that are specifically designed to be consumed unaged, like Finger Lakes Distilling Glen Thunder or Dark Corner Moonshine. Some of the other offerings, like Heaven Hill’s Trybox Series, which are the same new make spirit that’s used to make their aged whiskey, are nearly unpalatable. Jack Daniel’s Unaged Rye Whiskey (40% / 80 proof, $49.99) is an absolute game changer. Not only is Jack Daniel’s offering a spirit that is unaged, it’s also veering off the path from its legendary Tennessee Whiskey recipe and adding rye grain to the mix. The new Jack Daniel’s Unaged Rye has a considerable amount of rye in it, with a mashbill consisting of 70 percent rye, 18 percent corn and 12 percent malted barley. The significance of this can not be understated: this is the first new mashbill from Jack Daniel’s in over 100 years. The nose on Jack Daniel’s Unaged Rye is sweet and fruity with raspberry, rye grain, dried cherry, and honey. The nose is extremely aromatic without any harshness or vapors. Some unaged spirits have a sharp and wild character to the nose, but there’s none of that here. The entry follows the nose with some soft and slightly sweet fruit notes including the dried cherry which then quickly dissipate into the shaper rye grain flavor. In the mid palate the fruit notes become undertones to the rye, which is slightly sharp but balances well with the sweet undertone. This sharpness reads as a slight spice but without any burn. All of the pieces are extremely well integrated in the midpalate. There’s a natural progression from the midpalate to the finish where the flavors ease out and linger with slight dryness that is pleasing but doesn’t halt the enjoyment of the whiskey’s flavor. The mouthfeel of Jack Daniel’s Unaged Rye is also superb, slightly soft at the start but not overly heavy. As with the flavor, the mouthfeel transitions to being much more crisp and dry, finishing superbly. When it comes to unaged whiskey, we’ve been a little skeptical; few major releases have shown that the category is anything more than a distiller’s sandbox, but Jack Daniel’s Unaged Rye has made us believers. This is an extremely pleasing spirit that is well thought out, well produced, and very well integrated. Our only issue with it is the price. 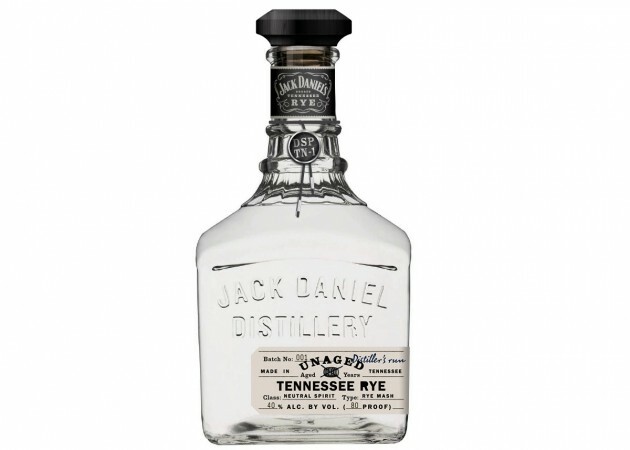 At $50, Jack Daniel’s Unaged Rye is one of the most expensive unaged products on the market. We are hard pressed to understand why Jack Daniel’s would charge so much for a product that is unaged, eclipsing the price even for its premium Jack Daniel’s Single Barrel Whiskey. At this price though, Jack Daniel’s may be legitimizing a market that other companies will come in and dominate. Jim Beam is hard at work on their white whiskey, Jim Beam Jacob’s Ghost, which is expected to come out early next year at half the price of this Jack Daniel’s. Jack Daniel’s Unaged Rye is an extremely significant and exciting release. Jack Daniel’s has gotten almost everything right with their spirit, except the price. Either way, we feel that it’s the game changing move that the unaged whiskey category needed and will transform it from something people are buzzing about to something people are actually drinking. Jack Daniel’s Unaged Rye is scheduled to be available in December at select retail outlets throughout Tennessee, including the White Rabbit Bottle Shop at the Jack Daniel’s Visitor Center in Lynchburg, Tenn. In January 2013, it will be available in limited quantities in other select markets throughout the U.S.